Mazhavil Manorama HD channel is launching on 14th August 2015. This will be the second HD Channel in Malayalam Language. Asianet HD Channel already launched on 13th August 2015. This will be start the HD war in Malayalam. Surya HD Channel will be start soon and we can expect More channels in HD format. Mazhavil Manorama Channel started on 31st October 2011, Within short period they become one of The most popular Malayalam channel. Now in Tam and Barc Ratings Mazhavil Manorama is at second position. Now you can enjoy Mazhavil Manorama Channel programs in HD format. How can i watch Mazhavil Manorama HD Channel ? – You need supporting TV and STB for The Same. You need HD Television and STB Supports HD Reception. In hd format TV and STB is connecting Through HDMI Cable, You can expect more clarity in Sound and Picture. Currently Mazhavil Manorama HD is Available Through Insat 4A at 83.00 East. 4115 i Frequency, Horizontal Polarization, Symbol Rate 7776 and FEC 3/4 are the Parameters fro the Same. You can tune Mazhavil Manorama HD Channel from This Satellite. Mazhavil Manorama HD is FTA (Free To Air) and We can Receive This channel with Supporting Devices. 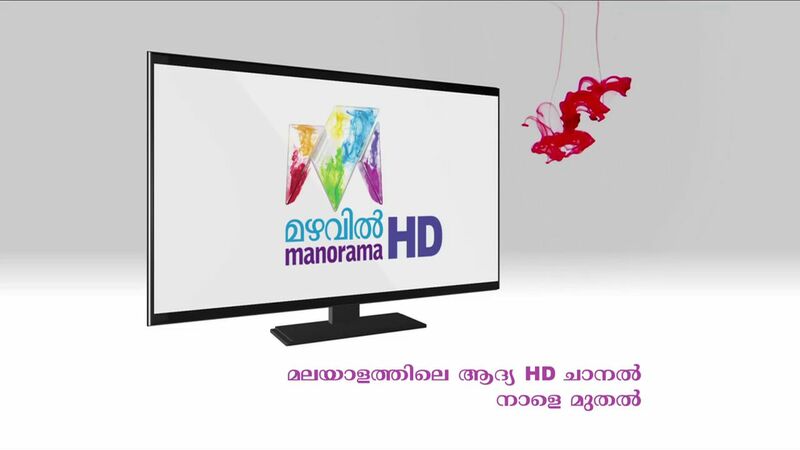 Mazhavil Manorama HD Channel will air the content of Main channel in HD format. You can enjoy the serials, reality shows, films, comedy shows etc of Mazhavil Manorama in High Definition Now. Mazhavil Manorama HD is currently available on Insat 4A Satellite. We can Expect the HD Channel of Mazhavil Manorama on All the Major Direct To Home Services Soon. We have Posted the Onam 2015 Films of Mazhavil Manorama Here. You can check it and Enjoy all your Favorite Onam Shows in High Definition. Keep visiting here for More updates about Mazhavil Manorama HD and All other Malayalam Channels.